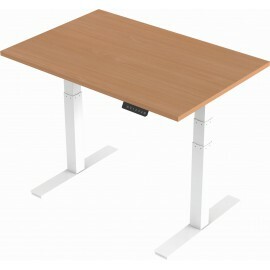 Height Adjustable Desks There are 2 products. 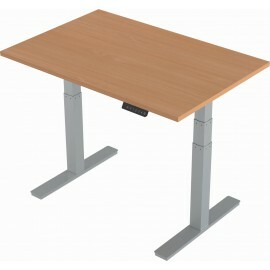 Our most innovative Air Sit & Stand desking system tackles poor posture and back problems available at a stunning price. Available in a variety of sizes and 5 wood finishes and 2 leg frames, the Air allows users to adjust the height of the desk electronically, whilst reducing musculoskeletal pain by 54% and boosting productivity by 42%. Wellbeing commentators and health professionals have noted that working at Sit & Stand variable height desks reduce fatigue, confusion and tension through the new style working. This superior desking has various premium product features at a budget beating price and is ideal for those wanting to achieve improved health and efficiency in the workplace.